The scientific method is a 6 step method scientists use to conduct experiments and learn about the world around them. 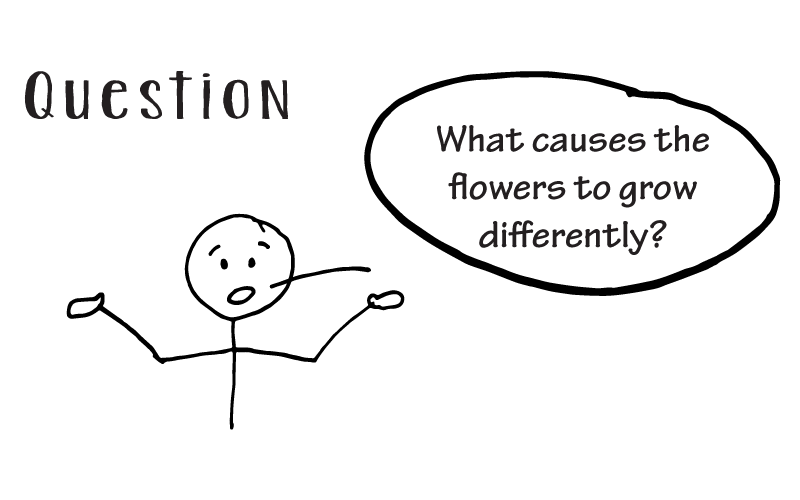 It is essentially a framework on how to ask a question and then answer it. We all make observations and ask questions about the world around us. Then, we make a guess (or hypothesis) about what we think the answer is. The scientific method is the process to determine if your hypothesis is correct. Whether you are making slime at home, growing seeds, or conducting a much more elaborate experiment, you can use this free scientific method worksheet to guide your process! Implementing the scientific method in your at home & fun science experiments, is a great way to reinforce logic and problem solving skills. Now, let’s dive into each step of the scientific method with an example! 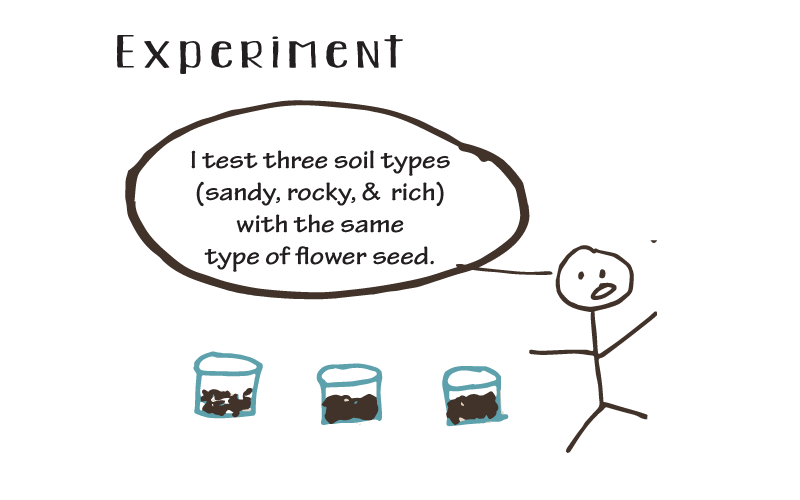 In this example, we’ll walk through the scientific method in an experiment where you’re testing how seeds may grow in different types of soil. We all notice things occurring around us! This first step of starting your experiment. 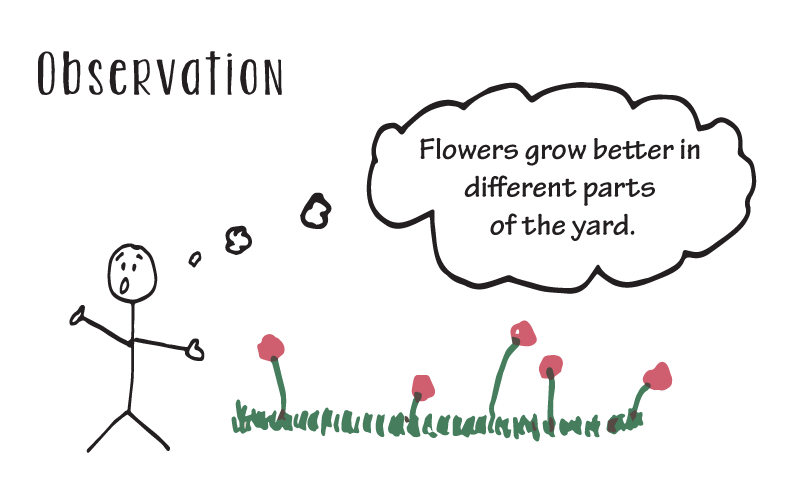 In this example, you notice that the flowers are growing differently around the yard. In some parts of the yard the flowers are already blossoming! While in other parts, they’re still struggling to grow. This is also when you may do some initial research. You notice they get different amounts of sunlight and that one area of your yard is much rockier. In this step, record your observations and research. In this experiment, we’re trying to understand why the flowers are growing at different rates around the yard. Why are some big and others small? In the next step, you create your hypothesis. A hypothesis is an assumption or idea that you can test in an experiment or study. It’s important to emphasize that the hypothesis is something you can test. When creating your hypothesis, use your research and observations to form your assumption. In this example, you had observed that the soil was very different across the yard. Some places it was very sandy, other places very rocky. 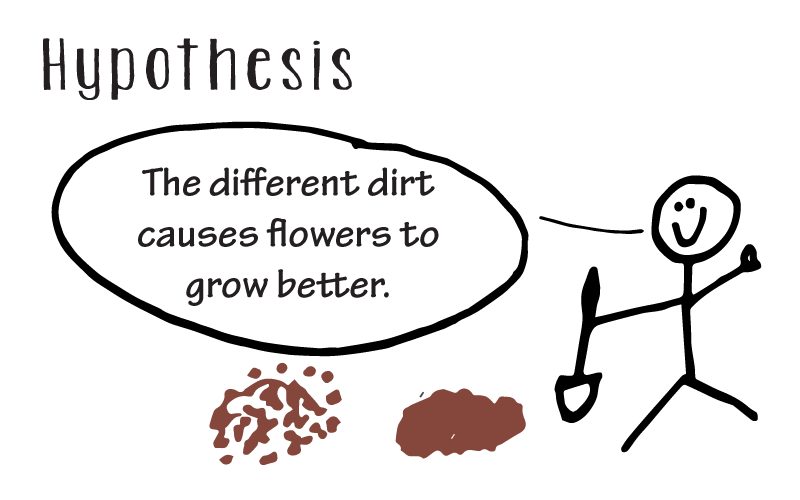 You form your hypothesis off this assumption that different soils cause the flowers to grow better. Next, it’s time for your experiment! Use the free worksheet to list each step of your experiment and the materials that you need. 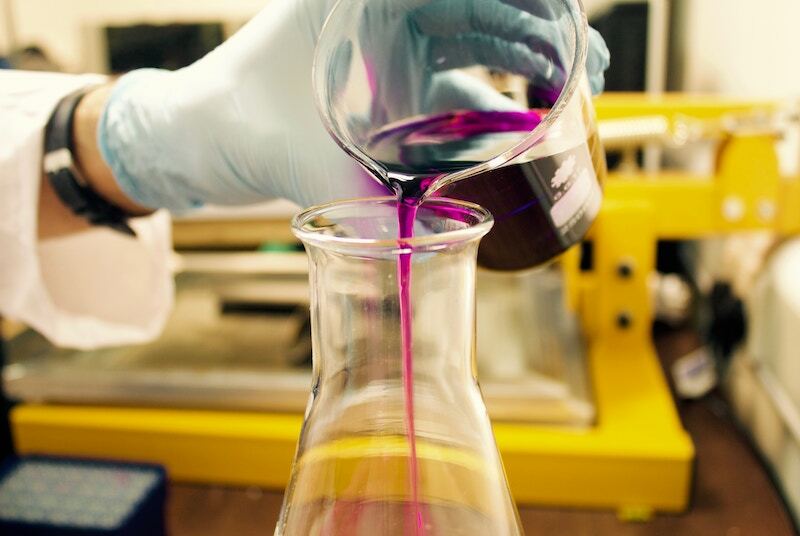 The experiment should be focused on either concluding your hypothesis is true or it is not. In this experiment, we decide to fill jars with 3 different types of soil samples collected around the yard. In each jar, we place a seed and then set them in the same place and water them at the same time every day. For older students, during the experimental step you can also list your controlled variables. What needs to stay constant in order to test your hypothesis? 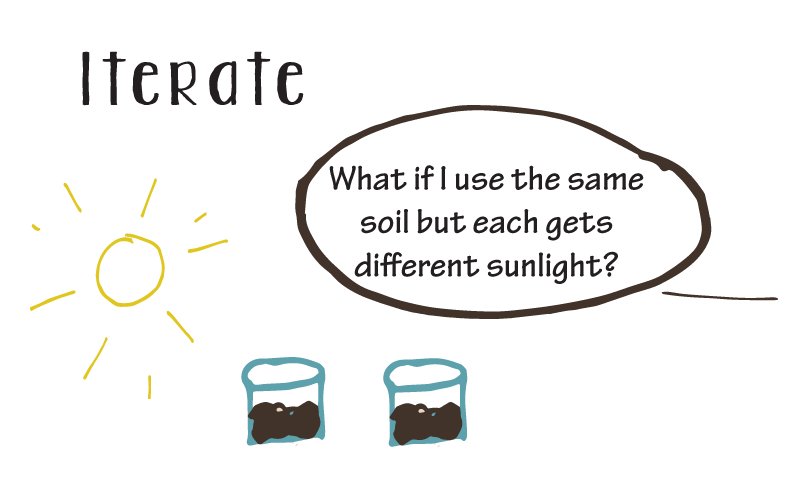 In this experiment, water, sun, and they type of seed are our controlled (or constant variables. The dirt is our independent variable – the thing that we are testing. You can download this great worksheet too on understanding the different variables in a science experiment! Next, observe and record your results. In our experiment, we watched the flowers grow and recorded how each flower grew different day to day. We may want to note which flower sprouted first, which one bloomed first, and which one lived longest. We make notes about all of our observations and results in our worksheet or notebook. 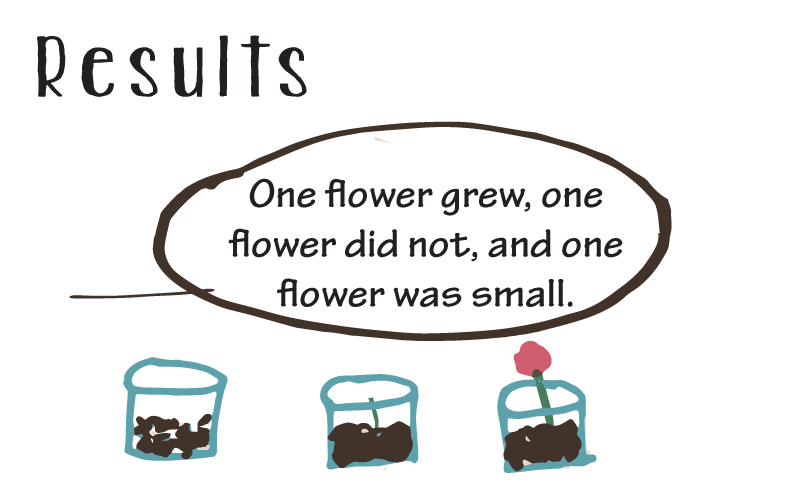 Lastly, use your results and observations to determine if your hypothesis was supported. 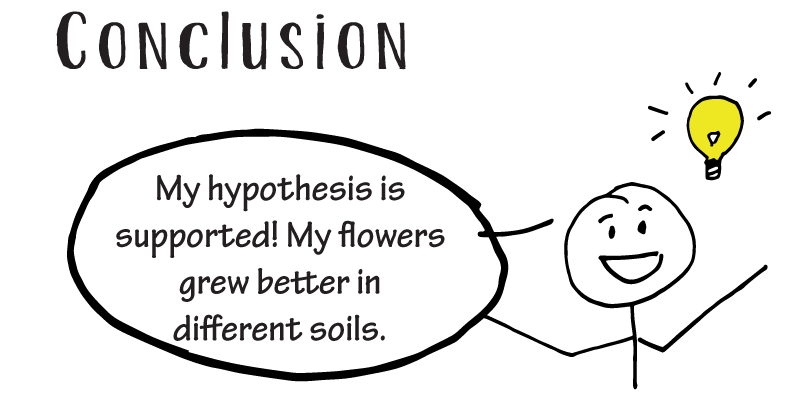 A conclusion should center around your hypothesis. Was your hypothesis supported or not supported? And remember to explain that a wrong hypothesis is not a bad experiment. It’s important to teach about and avoid research bias. An experiment is about testing a hypothesis, not proving it. An experiment that shows that a hypothesis is not true, is just as good as the one that shows a hypothesis is correct! Testing your first hypothesis doesn’t mean your experiment is over! During your experiment you may make other observations or want to test other variables. The last step is your feedback step where you iterate, or repeat. This loops back into the first steps of a new experiment where you make an observation and ask a question, and then start a new experiment using the steps of the scientific method.